After Colorado voted to legalize marijuana in 2012, doctors in Denver noticed a surprising trend. Most people who visited the emergency room for cannabis-related complaints had smoked the drug. But those who ingested the drug were more likely to suffer more severe effects, including psychiatric symptoms and heart problems. Edibles — marijuana-laced products such as brownies, cookies and gummy bears — are being associated with “medical complications that we never knew were associated with marijuana,” says neuroscientist Nora Volkow, director of the National Institute on Drug Abuse at the National Institutes of Health in Bethesda, Md., who was not involved in the study. Out of 2,567 marijuana-linked visits to the ER in 2012–2016 at the University of Colorado Hospital in Denver, only about 9 percent — or 238 cases — involved edibles. But those cases involved proportionally more short-term psychiatric conditions, with 18 percent of edible users suffering symptoms such as anxiety and psychosis compared with about 11 percent of cannabis smokers, researchers report March 25 in Annals of Internal Medicine. Heart issues were also more prevalent among ER visitors who had eaten edibles: Eight percent of those patients were diagnosed as having symptoms such as an irregular heartbeat, or even heart attacks. By comparison, only 3.1 percent of marijuana smokers in the ER had such heart symptoms. The study, however, describes only a correlation; it does not show that smoking or ingesting marijuana actually leads to these conditions. Smoking marijuana, by contrast, was more likely to be linked with gastrointestinal issues, accounting for about 32 percent of all inhalation cases versus roughly 15 percent of the edible cases. It’s unclear why different ailments are associated with different methods of getting high on THC, the psychoactive drug in marijuana. “These are new phenomena” for clinicians, says emergency physician Andrew Monte at the University of Colorado Hospital who led the research. He and his colleagues suggest that many people may be unaware that smoking marijuana affects the body differently from eating the drug. Inhaled, THC moves swiftly from blood in the lungs to the brain, producing a high within minutes. Edibles, by comparison, can take a few hours to have an effect because the THC must first pass through the gut where it is absorbed into the bloodstream. So, some people may overconsume edibles because they don’t realize it takes time for the drug to kick in. The issue of dosage is also murky. There are no federal regulations on what a single dose of marijuana should be, with the drug still illegal at the federal level and in 40 states (SN: 6/14/14, p. 16). Some states, including Colorado and Washington, recommend a single edible serving to have no more than 10 milligrams of THC, and require that edible products be labeled to show both the total amount of THC in a product as well as how many servings are included. Still, the production of those products is not well monitored. 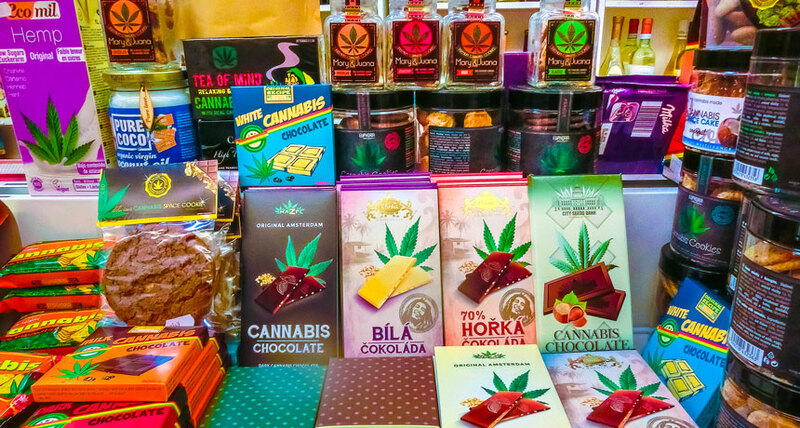 So a single chocolate bar could contain almost no THC, or it might contain 100 milligrams — the maximum dose those states allow in a single edible — and that difference might not be clear to a consumer. Edibles that have that much disparity in their THC concentrations are going to have significantly different effects on a person, Monte says. “That’s a recipe for disaster.” Monte and his colleagues argue that the U.S. Food and Drug Administration should issue appropriate health warnings and guidelines for standard doses and packaging. “This is sort of a brave new world we’re living,” Monte says. Though edibles make up only a small part of Colorado’s cannabis market, accounting for only 0.32 percent of sales in 2014–2016, edibles are leading to more ER visits each year, the researchers say. (The study could not account for edibles that were homemade or purchased on the black market.) Volkow agrees that the FDA should weigh in on these issues. Without standardization, “you’re just jeopardizing the health of these individuals,” she says.